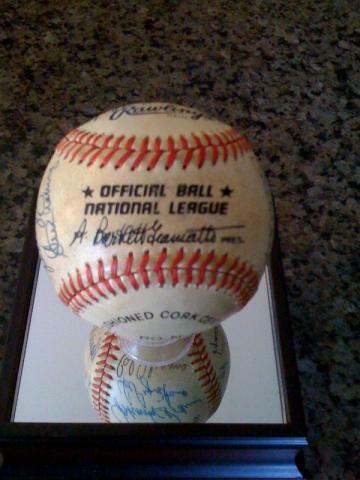 This official National League Baseball features the Autographs of 20 Star Players from the Brooklyn Dodgers - including 5 members from Baseball's Hall of Fame. This beautiful specimen is a collector's delight, and comes with full Letter of Authenticity from James Spence Authentication. 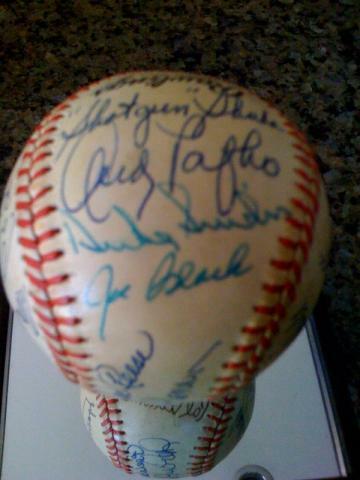 Brooklyn Dodgers players' autographs appearing on this rare piece of history include Don Drysdale, Hal Newhouser, Duke Snider, Pee Wee Reese, Billy Herman - all members of the Hall of Fame - as well as Carl Furrilo, Andy Pafko, Joe Black, Johnny Podres, Shotgun Shuba, Cal Abrams, Carl Erskine, Billy Loes, Ralph Branca and Al Gionfriddo. 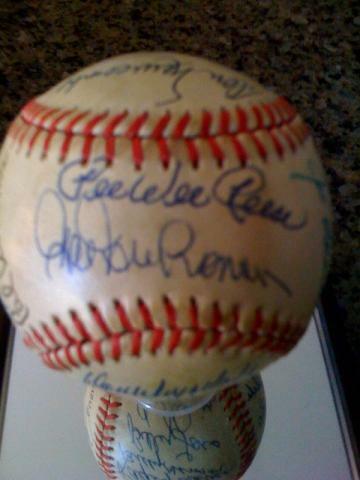 All Signatures are very strong, and rate from 8 to 10. 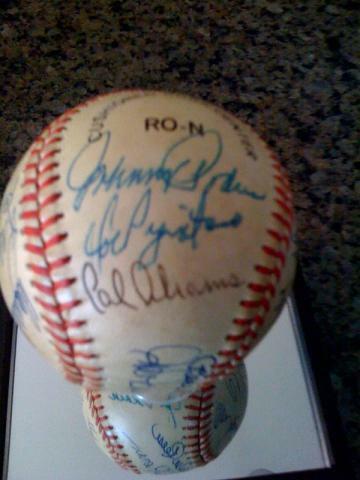 Due to the very rare nature of this special piece of baseball memorabilia we must charge your credit card for the full amount immediately upon taking your order. This policy ensures we reserve the item for you, and we will confirm your order by Email. 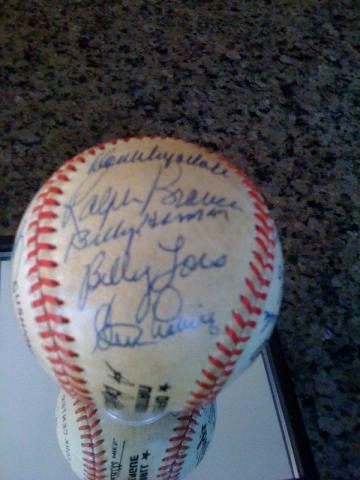 This ball is not game used, but all signatures are authenticated. This item is in stock now and ready to ship. 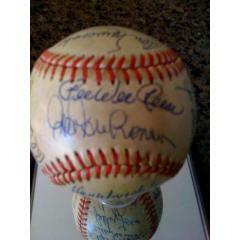 Brooklyn Dodgers Stars Autographed Baseball $1,495.00 Sold Out!